It may be a name which is synonymous with the top number in bingo, but does Kelly’s Eye Bingo bring you a number one gaming experience; well we at Place a Bet Online are here to tell you. This Cozy Games site was launched in 2015 bringing us the old familiar you’d expect from this gaming giant, with a fun and quirky theme; from looking at Kelly, she’s pretty fierce! As you would imagine there is the ability to game on a number of mobile devices, so if you have an iPhone, Android, Windows or Blackberry then you can access over 47 portable games. Once they’re downloaded, then you’ll realise the worlds your oyster and you can be entertained whether you’re stuck in a queue, walking the dog or simply relaxing in the bath. •	Can access on a number of mobile devices. They may have bingo in the title, but Kelly’s Eye Bingo offer much much more! For the bingo players you can access 90 ball, 80 ball, 75 ball or 30 ball bingo. But if you’re after a bit more, then how about table casino and high quality slots such as Five Pirates and Arabian Nights. With Kelly’s Eye Bingo you’ll receive £5 credit automatically to your account, upon registering. This credit is a welcome from the site and the best way for you to try out a number of their games, before adding any of your own money. When you’re ready to make that first deposit, Kelly’s Eye Bingo up their game again with a whopping 400% cash match bonus. 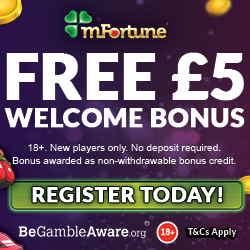 This means that merely for adding £5 you’ll receive an extra £20, giving you a grand total of £25 to game with. But Kelly’s Eye Bingo don’t stop there, because they like to reward loyalty with a cash back bonus up to 20%. You only need to deposit a minimum £25 for the week, but make sure you check out their terms and conditions before adding any further credit. If you think it can’t be possible for them to offer any more, then you’d be wrong! Because whenever you deposit with Kelly’s Eye Bingo, you’ll receive £1 cash daily for the next 7 days; all you have to do is login! 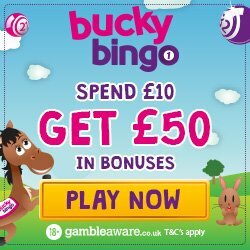 We’re sure you’re already planning on telling your bingo loving friends about this great site, so why not earn a little bonus for it? For each person you refer who deposits, you’ll receive a £10 Amazon voucher to use however you wish; bingo and shopping, we must be in a dream! One of the great parts of online gaming is meeting new friends, or roomies as we like to call them. This is why Kelly’s Eye Bingo offer a number of chat games, with the possibility of you receiving up to a 200% bonus on your last deposit. It always feel good to be part of the elite and you’ll feel amazing when you join Kelly’s Eye Bingo’s VIP scheme. To be welcomed down the red carpet, you simply have to deposit £200 or above during the week. You’ll then receive an email confirming the benefits and offers you’ll receive. There’s three levels to the scheme, Super Brigade, Mega Brigade and Awesome Brigade, each offering bigger and better bonuses. 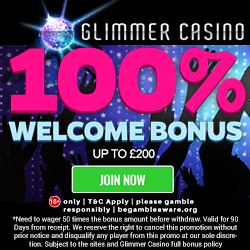 Some of these include VIP special games, birthday bonuses and higher cashback bonuses. For those of you who keep up on the latest news via social media, then make sure you check out the Kelly’s Eye Bingo Facebook, Twitter and Google+ pages. They accept credit and debit cards, Paysafe Card, Neteller and Skrill. If you’re ready for the number one bingo site Kelly’s Eye Bingo, then simply head over and enjoy the £5 credit.